Always, always, always use binary encoding to send your data. 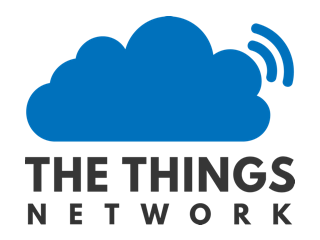 See The Things Uno MQTT Workshop for an introduction to TTN’s payload functions to help you decode it. We’re definitely moving away from JSON (and even plaintext) data. The MQTT or API would just give you the (base64 encoded) binary data that your device sent. And then you can run it through ConCaVa. Or just convert the binary data to whatever value you want with two lines of code. Do not send a precision that is higher than your use case needs, or your sensors offer. Like a GPS unit might be less accurate than you think; see Best practices when sending GPS location data. Combine sensors in a single device, or when collecting data that is not needed realtime then consider sending in small batches. As the LoRaWAN protocol always adds at least 13 bytes of overhead to the application payload, and also needs some air time to send some more housekeeping data, a 55 bytes application payload might only need 2 to 2.5 times more air time compared to 8 bytes. See Spreadsheet for LoRa airtime calculation, and compare different payload sizes with different spread factors. When a single node has multiple sensors for which to expect similar readings, maybe a single (multi-byte) value of one sensor plus (smaller) offsets for the other sensors can decrease the data size. …which might actually be limited to only 10 downlink messages per day! When sending battery level, there is no need to include that in every single packet. If your node can send different message types: use the LoRaWAN “port” to define what payload is sent. If you have old and new nodes that use different encodings of their data: as one can always determine the node’s ID from the LoRaWAN header, one does not need to send any software version if one keeps a proper administration of node IDs and their installed software. How to send payload in Hex-format? I like to share one thought on the effect of encoding payload in a complex way so the only one that can use the data is the specific application. One of the advantage of IoT technology is the possibility to share data coming from a node among many different application. To allow this a “talking paylod”.is needed. By design, given LoRaWAN security, a single specific application is the only one that can decrypt the data. You need an application to process the data from the network server; you cannot just make applications connect to some node or gateway. For information, see Low Power Payload (LPP) that allows the device to send multiple sensor data at one time. LPP needs two additional bytes for each value that is being sent. Though TTN supports this as an integration as well, I’d not qualify that as a best practice. Nice for prototyping, of course. Only useful for “universal” nodes. We coud imagine that the node send “once” the description of his payload in LPP (with a special LPP/channel of FF) and for the others packets, just the meaningful data ? Could be described as i.e. FF 03 67 05 67 in the first packet, and 01 10 00 FF in next packets. Unless you’re using confirmed uplinks for the first uplink, I guess you’d need to send the LPP details a few times, to be (quite) sure they arrive. But the idea would be the same. So, I feel it is easy to also administer each node’s sensor setup.